The inspiration for this room was the “Houses and Birds” art and wall decals from Judy Kaufmann’s etsy shop. I love the colors and the design of the houses and put everything together around them. 9- Neo Rocking Chair from Ligne Roset- this is a show-stopper, but any awesome orange, pink, green or aqua rocker or glider would do! 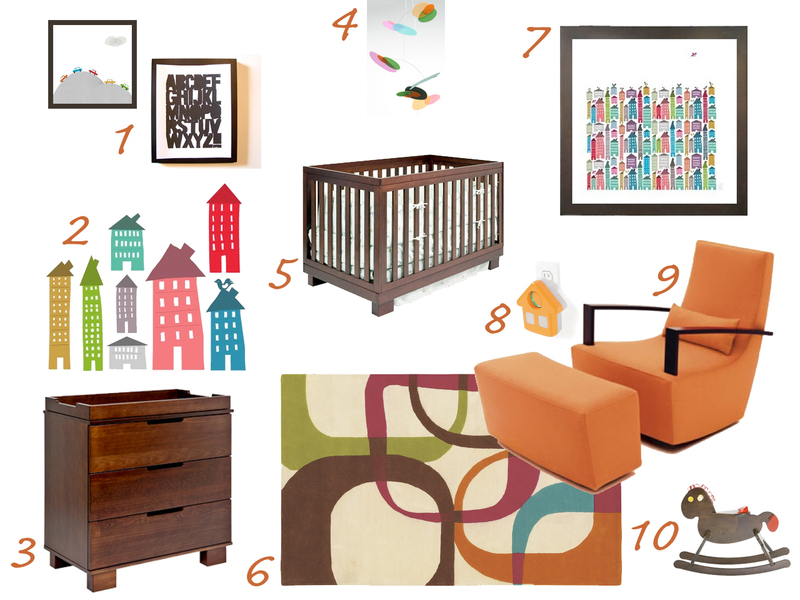 Love, love, love the Neo Rocking Chair. LOVE the rocking chair too!